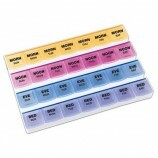 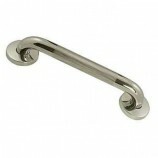 Today, Rollators are extremely popular. 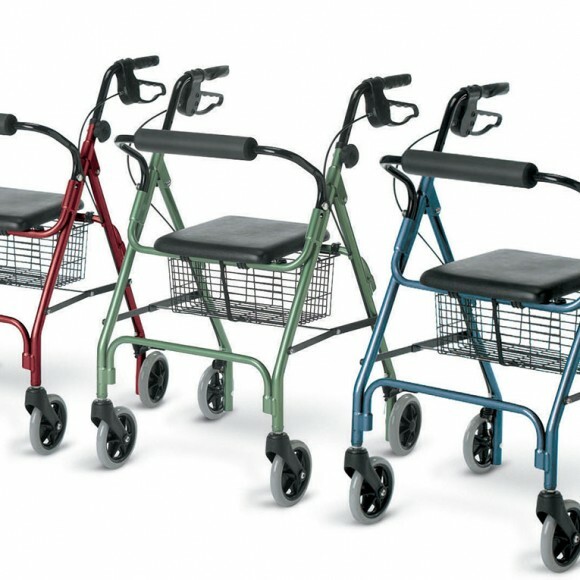 A Rollator is basically a walker with four wheels. 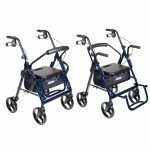 Within recent years, Rollators have become the walker of choice because they are much easier to maneuver than a standard aluminum walker. 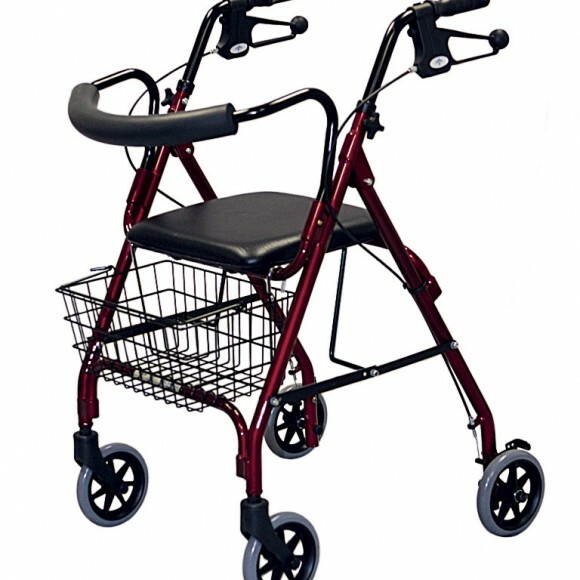 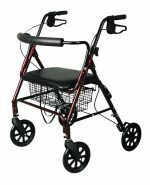 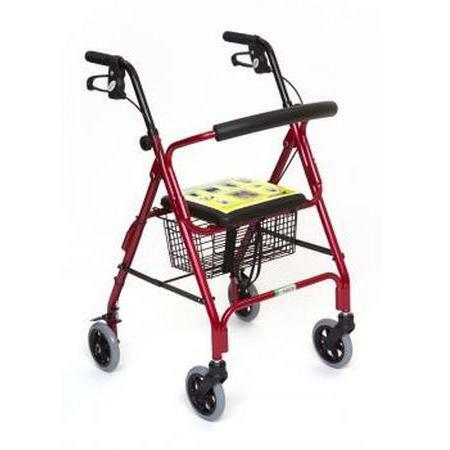 In addition, Rollators, unlike standard aluminum walkers, need only be pushed rather than having to be lifted with each step taken. 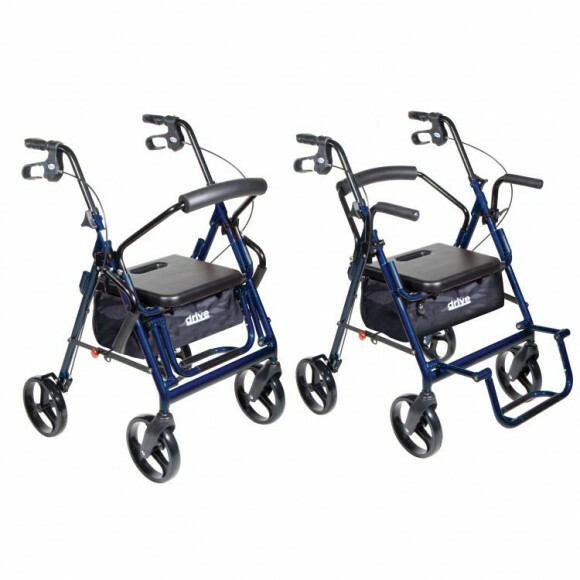 Rollators are trouble-free to use and incredibly easy to navigate when walking over grass or uneven surfaces, and best-of-all, their design allows them to be used indoors with ease. 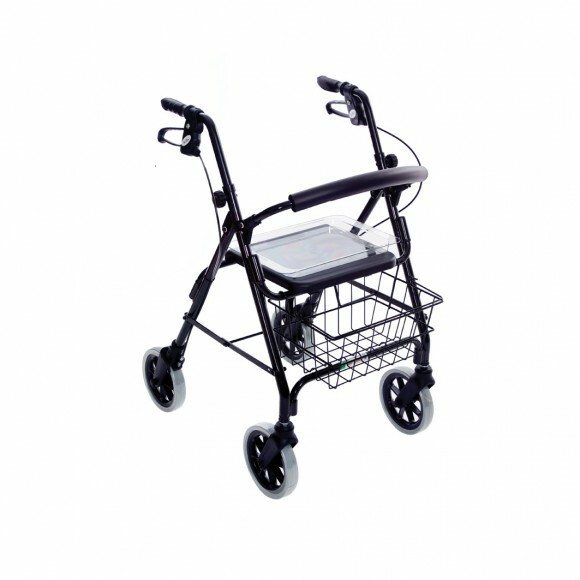 Rollators are equipped with hand brakes, which permit the operator to regulate the forward motion with ease and safety. 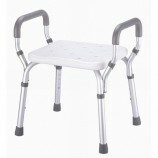 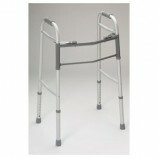 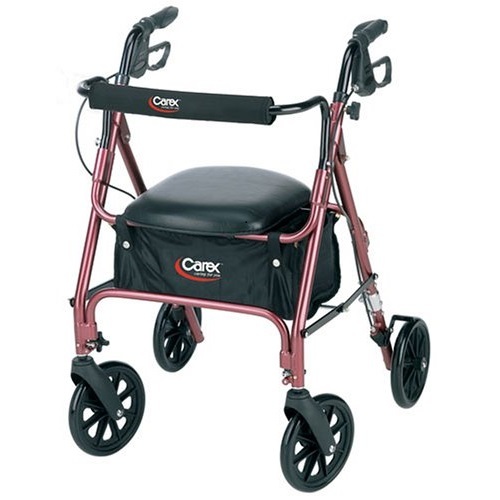 They are constructed of light weight metals, which allows for effortless mobility. 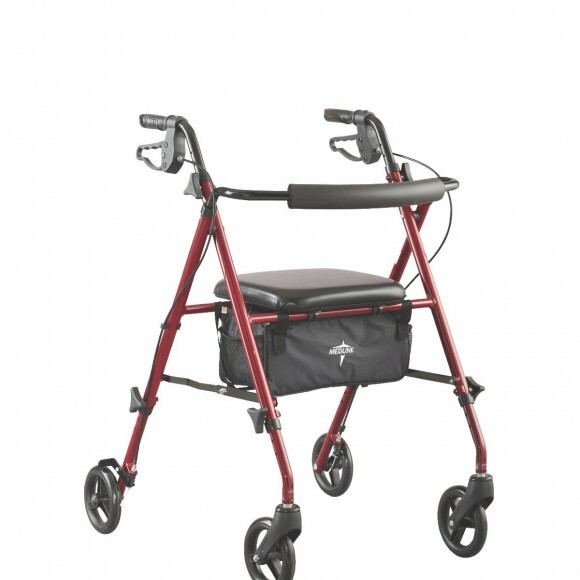 Their light weight also makes them easy to lift and place in the trunk or back seat of an automobile. 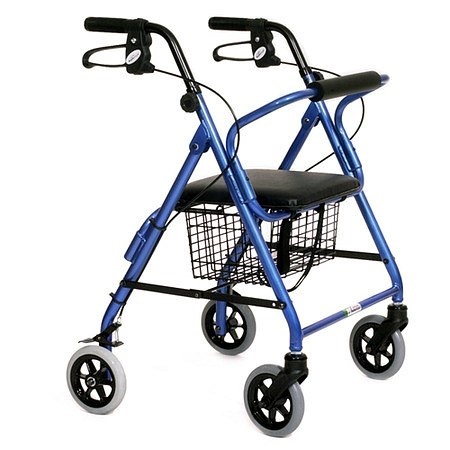 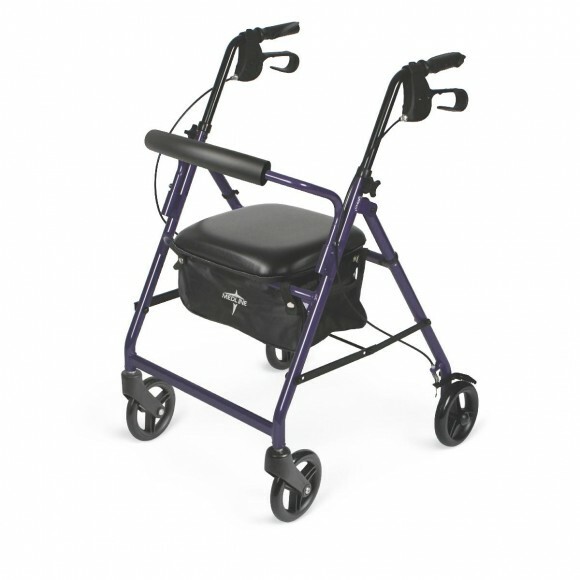 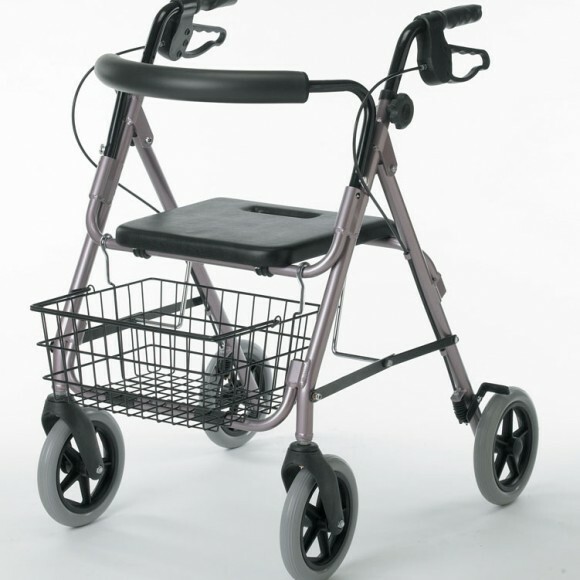 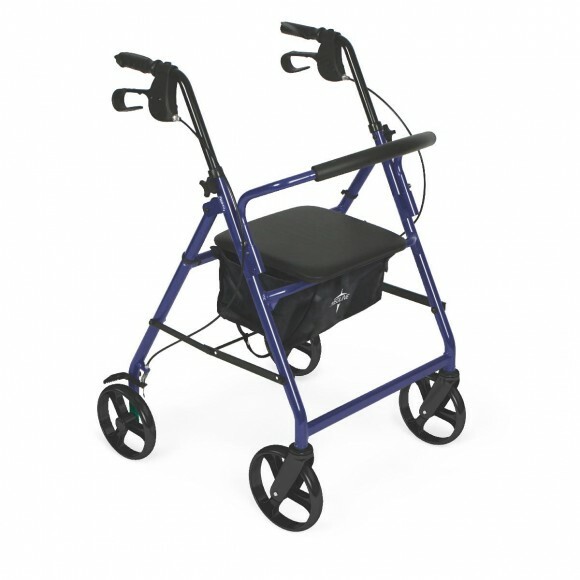 A Rollator may be equipped with a basket to conveniently carry your personal items. 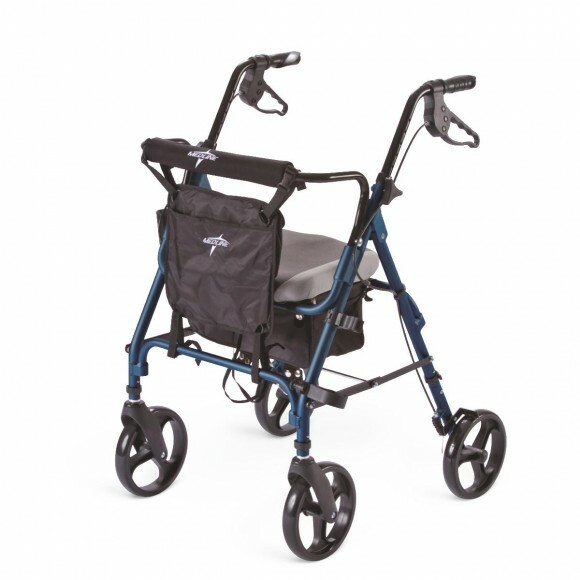 Another welcomed feature of a Rollator is that it comes equipped with a comfortable seat so that when you’re going for a stroll, you can simply apply the brakes and take advantage of the seat for a rest.